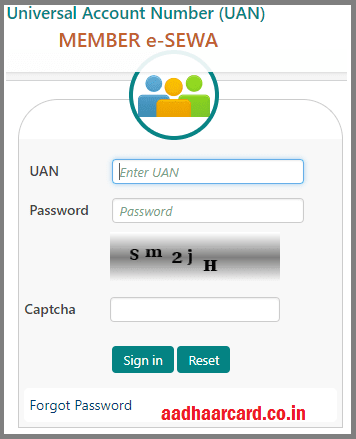 Do you want to know how to link Aadhaar with UAN/EPF account? 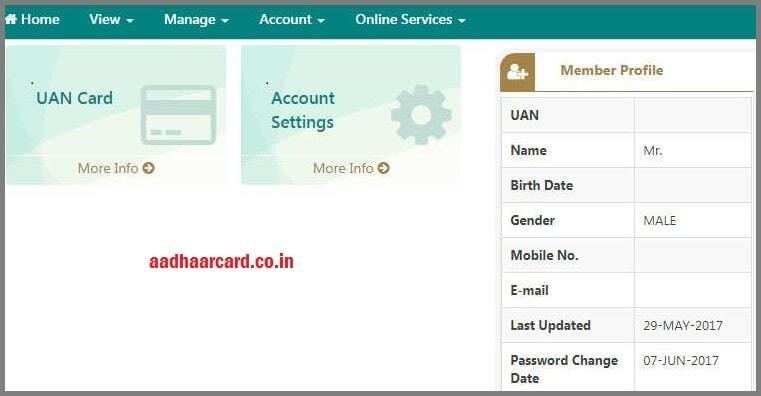 In this tutorial, you will know how to link Aadhaar with UAN and EPF account easily. It’s very easy and simple to link Aadhaar with UAN and EPF account. Most of the new employees and even experienced people are confused about the meaning of UAN as it is a relatively new ID issued by the government started in 2014. UAN (Universal account number) is a unique number allotted by Employee Provident Fund Organization (EPFO) to every employee contributing to PF (provident fund). For others, there is a high chance that your previous company has applied and got a UAN for you. You should be able to find it in your payslips next to your PF number. All different PF accounts allotted to an employee by different employers will get linked to this unique UAN which is portable across companies. This fund is maintained and overseen by the Employees Provident Fund Organisation of India (EPFO) and any company with over 20 employees is required by law to register with the EPFO. EPFO has made provisions for all employees across India to manage their PF accounts online. They can visit the EPFO website and link their UAN with Aadhaar. 2. Login to your account using your UAN and password. 3. In the “Manage” section, click on the KYC option. 4. A page opens where you can find a number of documents to link with your EPF account. 5. 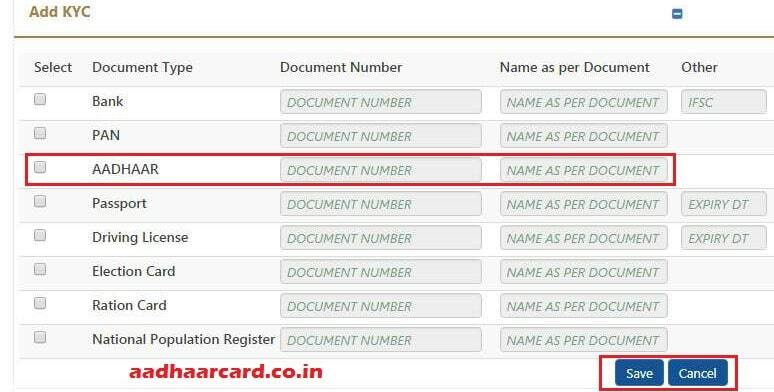 Select the Aadhaar option and enter your Aadhaar number and your name as per your Aadhaar card and click on the save option. 6. After you have saved your details, your Aadhaar will be verified from UIDAI’s data. 7. On successful approval of your KYC document, you will successfully be able to link Aadhaar with EPF account and you will find “Verified” written against your Aadhaar details. EPFO has introduced UAN-Aadhaar linking facility for the convenience of members using EPFO Link on the UMANG mobile app. 5. After OTP verification, Aadhaar will be linked with UAN, where UAN and Aadhaar details are matched. The EPFO introduced the offline facility named “Aadhaar Seeding Application” with the support of the Common Service Centers (CSC) and CDAC. With the launch of Aadhaar Seeding Application facility, the applicants can approach for the nearby field offices of EPFO or CSC outlets. After the verification is done, the Aadhaar number will be linked to the EPF account. After that, then you will receive a message on your registered mobile number. #1: Go to the official EPF website. #2: Click on the eKYC link under the online service option. #3: In the EPFO member section click on Track eKYC link. #4: It takes you to the new window, where you need to enter UAN and click on the Track eKYC button. Finally, the status will be displayed on the screen. 1: Fill out the “Aadhaar Seeding Application” form. 2: Enter your UAN and Aadhaar in the form along with other relevant details. 3: Attach self-attested copies of your UAN, PAN, and Aadhaar with the form. 4: Submit it to the executive at any of the field offices of EPFO or Common Service Centres (CSC) outlets. 5: After proper verification, your Aadhaar will be linked with your EPF account. 6: You will get a message related to this on your registered mobile number.